MERVIN BRAVE ROCK passed away in Cardston on March 3rd, 2017 at the age of 88 years. Mervin is survived by his wife Louise Brave Rock; his loving daughters Filma (Darrell) DeRoche of Browning, MT; Melvina Brave Rock and Kathy Jackson of the Blood Reserve, Betty Ann (Ettore) Whitford of Browning, MT; his son Virgil Brave Rock (Kelly) of Portland, OR; 16 grandchildren, 28 great grandchildren and one great-great grandchild. He is also survived by numerous nieces and nephews and many cousins and friends in Canada and the U.S., all of who’s company he appreciated and loved. 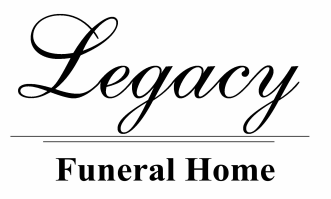 He was predeceased by sons, Marvin and Vernon Brave Rock; grandchildren Kenny and Mackenzie Brave Rock, Brian Deroche and son-in-law John Webber. Mervin had many occupations in his lifetime, he would always say he was a “jack of all trades.” He was a former Blood Band Councillor for two terms. In his earlier years he was a cowboy riding in many of the southern Alberta rodeos, as well as many in the Washington state, in addition he received a plaque for riding in the Calgary Stampede. He was also a rancher and farmer on his ranch, where he loved being. He was employed at St. Paul’s Residential School, Blood Indian Hospital and the Blood Tribe Health Department as a boiler technician. In the U.S. he was employed as a logger working in both Tiber and Hungry Horse Dams. He was wild land fire fighter, railroad worker, employed in the copper mines for 25 years in Butte, MT. He worked throughout Washington state in the orchards. He was a boxer and avid hunter and fisherman. Mervin loved his dogs, most of whom were named “Tom,” and a horse also named “Tom” and his beloved dog, Odie, a favourite travelling companion. Mervin was an active member of the Magpie Society as well as a member of the Dove Clan. He always encouraged his family to work hard, continue with their education and remain together with their families. His love for his family was very important to him. He loved large family gatherings and cookouts, he especially loved his sweets and bannock bread. He last resided at the Auxiliary Ward of the Cardston Hospital and made many friends of the staff there. We are grateful for the wonderful care given to him there. He was predeceased by his siblings: Ted and Wilfred Brave Rock; Sisters, Adeline Singer, Gladys Buckskin, Alvina Crop Eared Wolf, Ruth Lafrance, Kay Brooks, Pearl Brave Rock, Gloria Eagle Tail Feathers and Lloyd Flammond of Babb, MT.